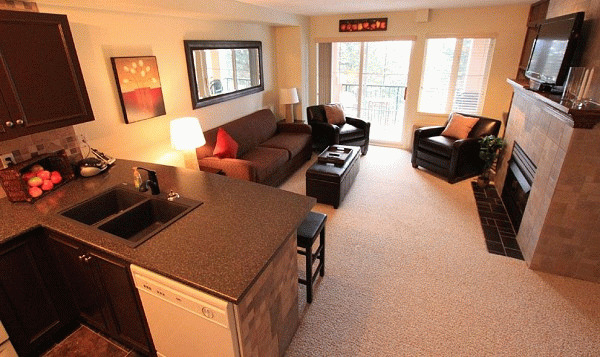 Our Beautiful Tuscan Design Building hosts studio, 1 and 2 bedroom condos with all the comforts of home. Suites have either one queen bed, or 2 or 3 beds in the bedrooms. All suites have 2 full bathrooms, Murphy wall beds and or pull out sofa beds in the living rooms. 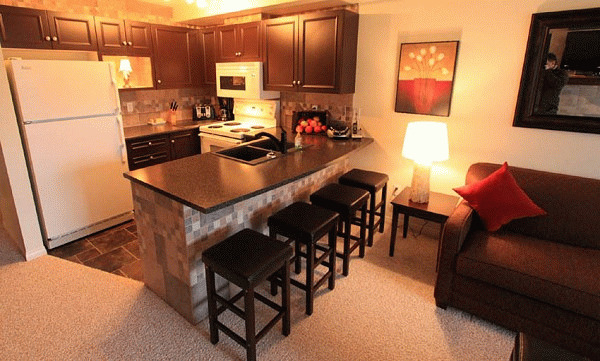 Fully stocked kitchens, nice patio decks with BBQs, in suite laundry, fireplaces, air conditioned and include underground parking. Suitable for Families, Couples Corporate groups and Golfing Groups. Quail Ridge Resort is a natural bird sanctuary, see the Quails and tons of other birds that are home right around the lodge. 2 min walk to the famous Quail and Bear Golf Courses, Sarazen's Restaurant, Full Clubhouse and banquet / wedding facilities. Convenient Pizza Outlet in the lodge. Kelowna BC Golf Packages feature discount prices for play on 9 + Major championship courses including famous "The Quail" and "The Bear" courses at your doorstep. Tower Ranch, Gallagher's Canyon, Harvest Golf Club, as well as Predator Ridge and The Rise. 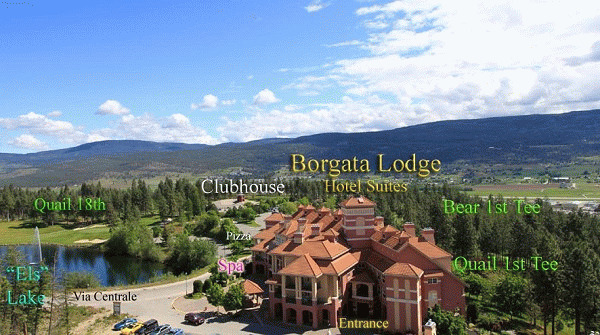 Enjoy your choice of several premium courses in Kelowna, Sunset Ranch, Kelowna Springs, Bear Mountain and Shadow Ridge all within 15 min drive of the lodge. 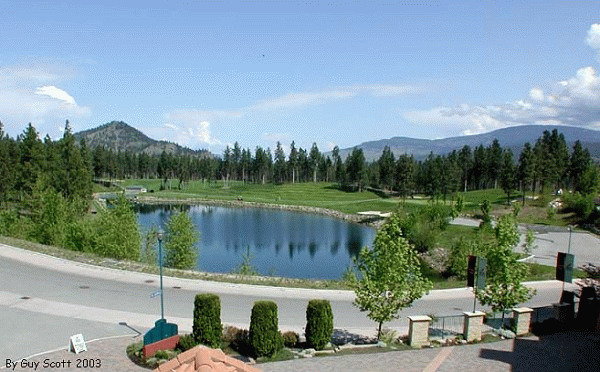 Our Okanagan Golf Packages feature championship golf at your choice Major or Premium Courses , enjoy rolling hills, majestic forest and links lands. Play tons of super courses within 25 min drive of our lodge. The new and now famous Tower Ranch was voted #1 in North America for "Best New Course" in 2008 by Travel and Leisure Magazine. Prices to suit all budgets. Kelowna Wine Tours can be arranged for groups of 2 or more. The Okanagan valley is host to many wineries from large scale commercial wineries to very small boutique wineries where you can purchase unique one of a kind wines only found in Okanagan Wine Country. Take in the annual Okanagan Valley Wine Festival. We are 15 min drive to 4 wineries and 30 min drive to many others. Ask us about the best kept secret for wine tasting. Big White and Silver Star Ski Packages stay with us as we are central to both Big White Mountain and Silver Star Mountain Ski Resorts. 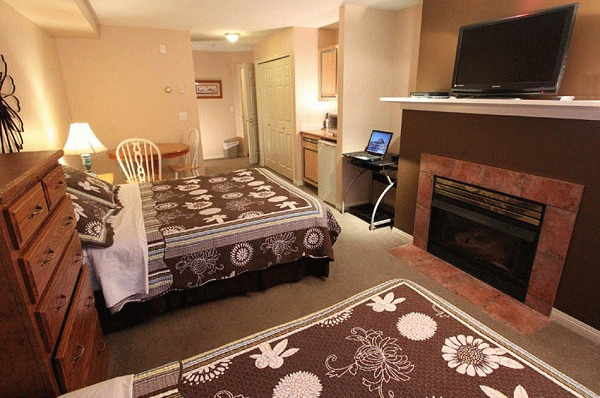 Our Big White and Silver Star Ski Packages include accommodations and lift tickets. Rates as low as $99 in winter! Please visit Borgata Lodge Website.